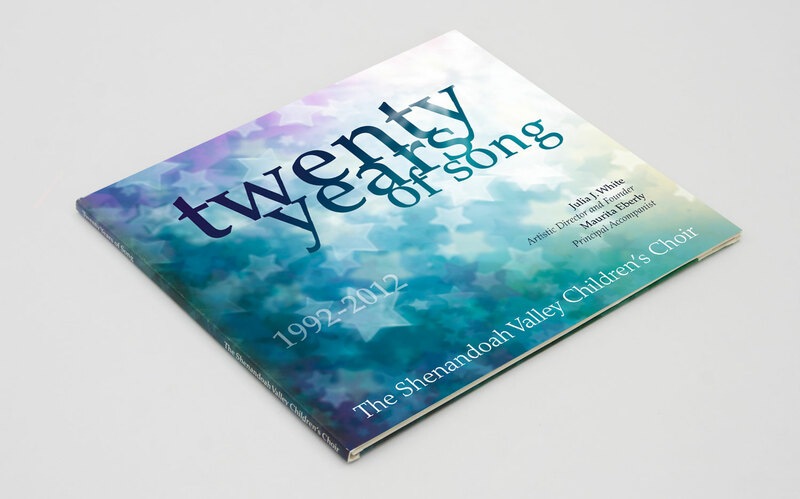 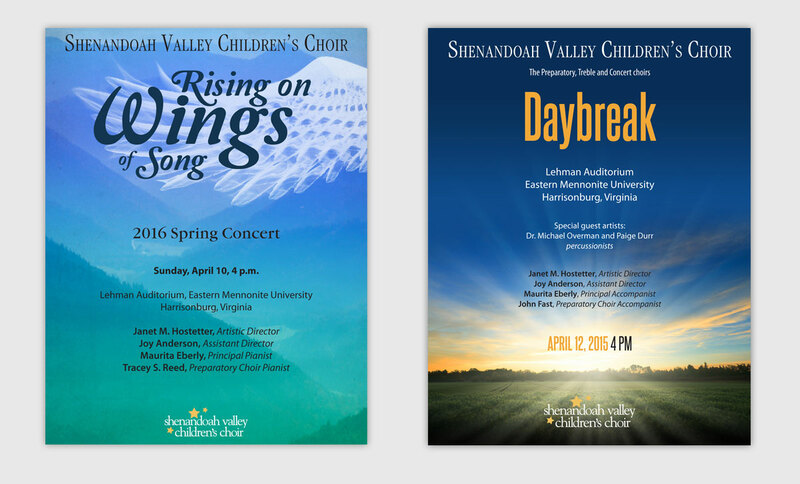 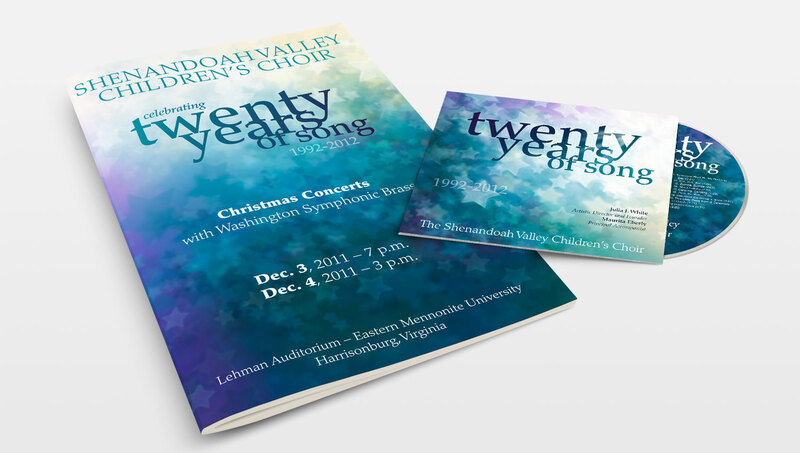 The Shenandoah Valley Children’s Choir (SVCC) of Harrisonburg, Va. has been producing great music since 1992. 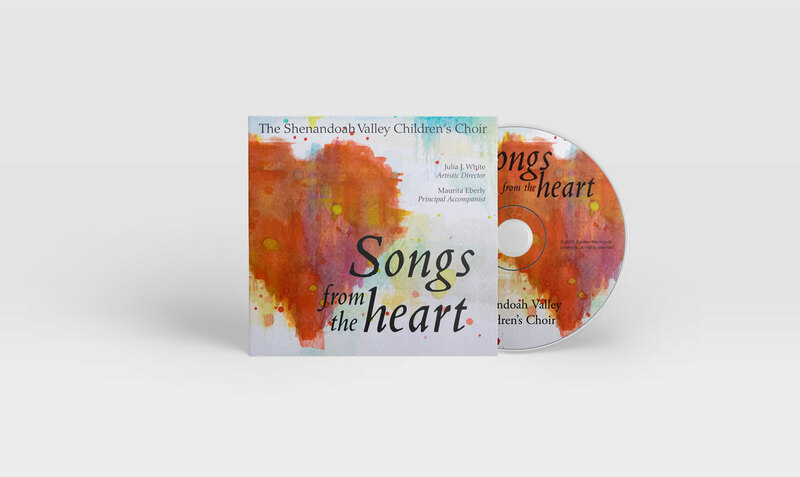 Each year the SVCC produces a CD which include performances from the choir and often features guest musicians. 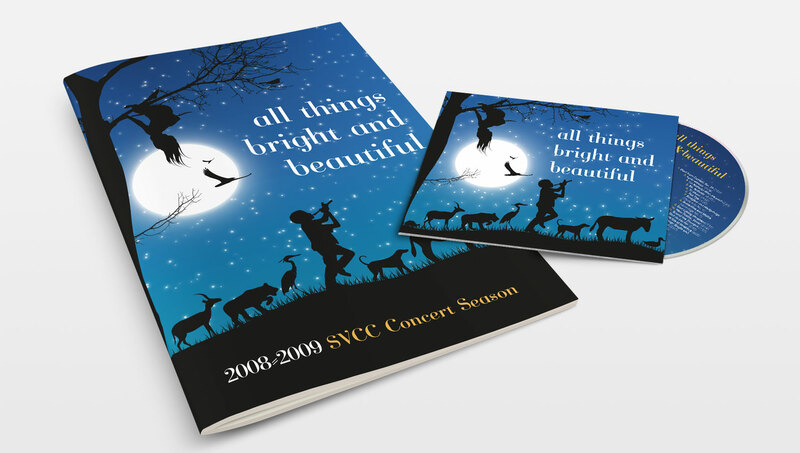 For the past few years I have been asked to create the design for the CD packaging with matching program book for the subsequent concerts. 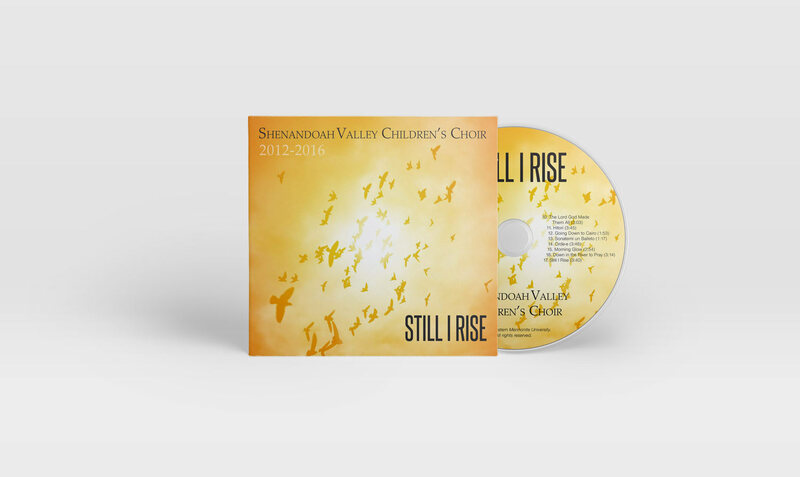 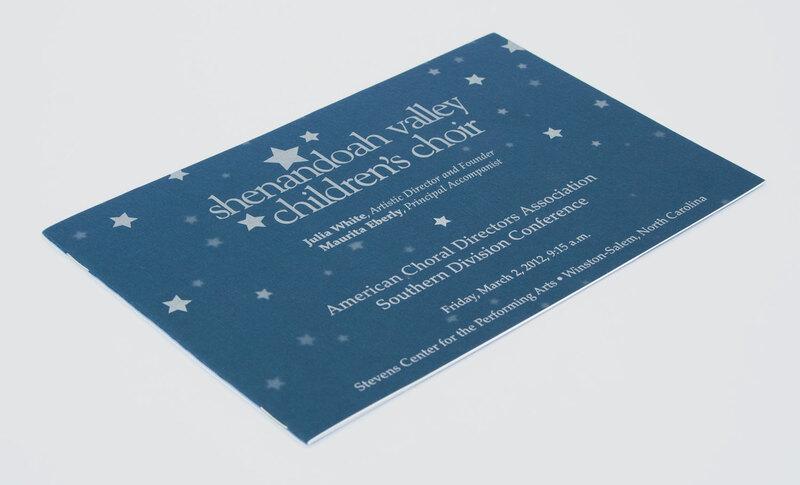 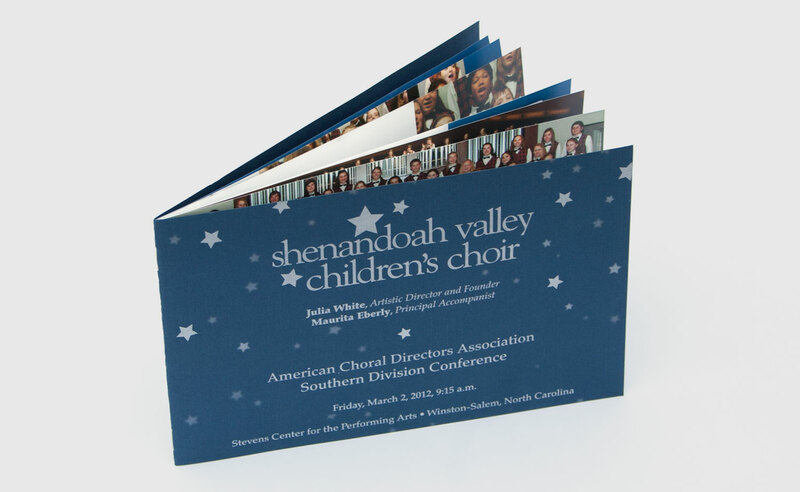 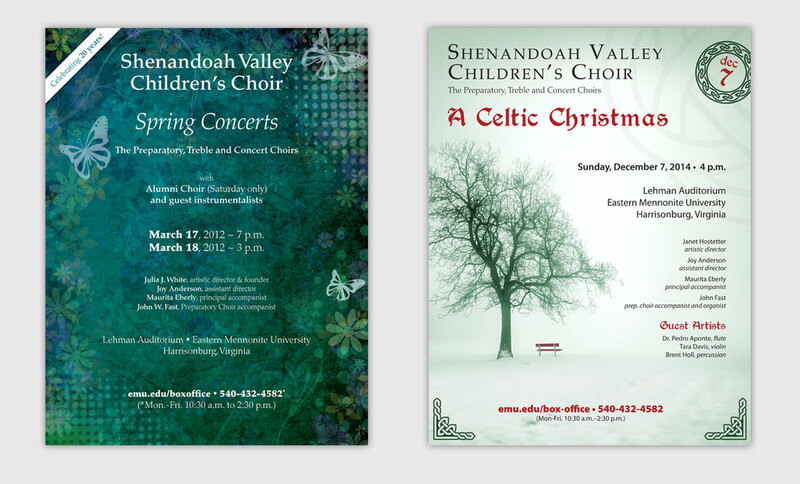 The Shenandoah Valley Children’s Choir is an advanced choral music education program for children who love to sing and seek a high-powered, accelerated learning and performing environment. 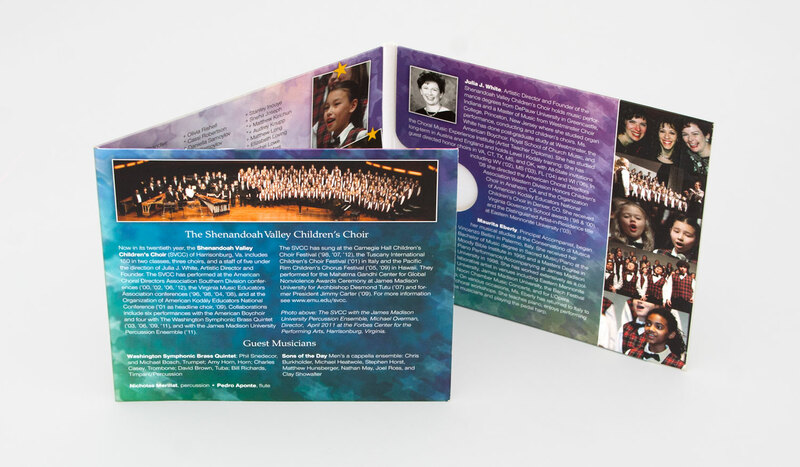 SVCC choristers receive instruction in vocal production, diction, breathing, score study, musicianship, theory and performing skills, informed strongly by the Kodály approach. 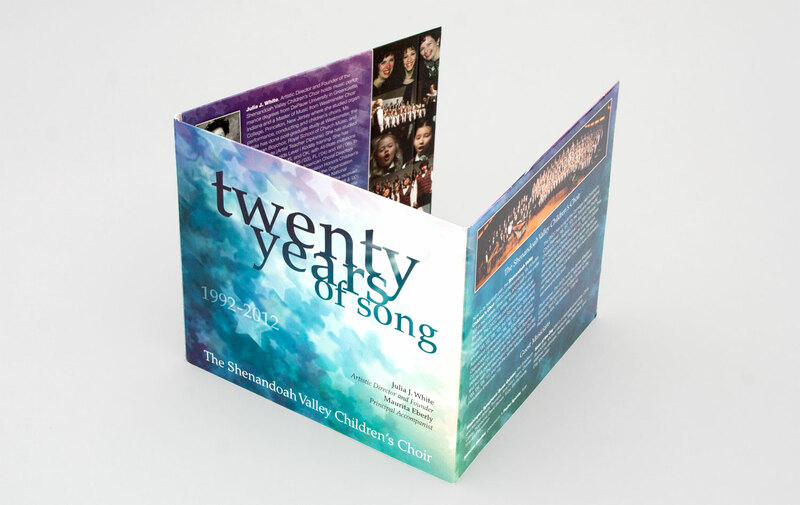 Singing a cappella, in unison as well as in two to four parts, SVCC choristers experience a broad range of choral literature including classical music, folk music of many cultures, and sacred and secular songs. 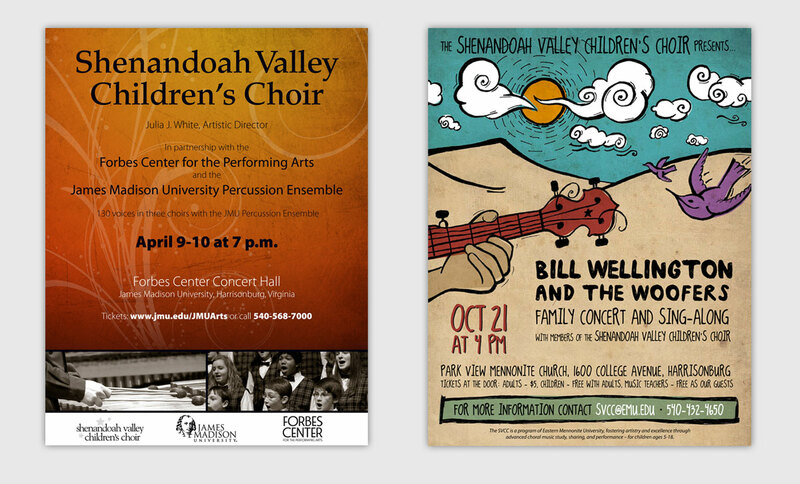 Our varied repertoire centers on thematically appropriate educational entry-points, with specific emphasis on peace, friendship, nature, community building and love.